Comcast has formalized its bid for European broadcaster Sky, a move that sets up a battle royale with rival US powerhouse 21st Century Fox. The US cable and entertainment company on Wednesday formally offered to pay £12.50 ($17.45) per share for Sky, topping a previously agreed bid of £10.75 ($15.00) per share from Rupert Murdoch's Fox (FOX). The Comcast (CMCSA) offer values Sky at £22 billion ($31 billion), roughly £3 billion ($4.2 billion) more than Murdoch's bid. In February, Comcast floated a preliminary offer at the same price. "We are delighted to be formalizing our offer for Sky today," Comcast CEO Brian Roberts said in a statement. "We have long believed Sky is an outstanding company and a great fit with Comcast." 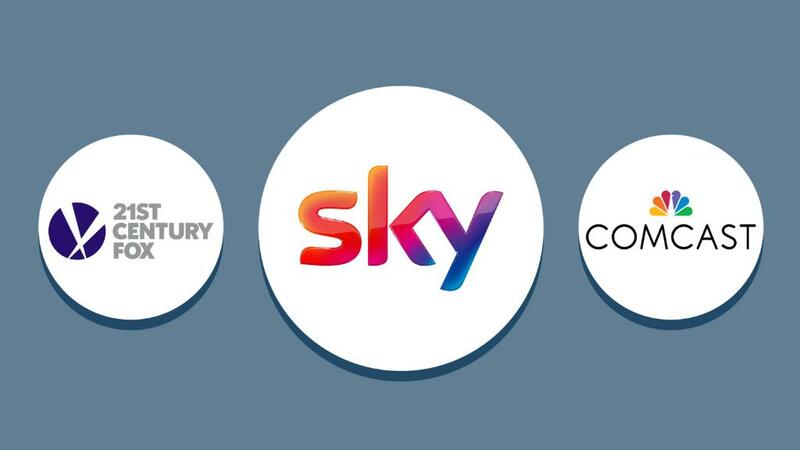 Following the formal bid from Comcast, independent directors at Sky said they were withdrawing their recommendation that shareholders accept the competing offer from Fox. Fox said in a statement that it "remains committed" to its offer and "is currently considering its options." Investors, who think the bidding war will continue, sent Sky's stock much higher than Comcast's new offer. Sky shares jumped 3.5% in London to trade at £13.53 ($18.90). Comcast is a daunting rival for Fox, with far greater financial firepower. Yet the contest between Fox and Comcast has been complicated by a $52.4 billion offer from Disney (DIS) last year to swallow most of Fox, including its existing stake in Sky. At a time when US consumers are cutting their cable subscriptions and spending more time online, Disney and Comcast are both seeking to broaden their geographical footprint. Comcast has said that adding Sky to its business would increase international revenues to 25% from 9%. It pledged on Wednesday to maintain investment in Sky News for 10 years, and ensure the division's editorial independence. In January, a UK regulator advised that the government should block the Fox bid to buy the remaining 61% of Sky because it would give one family -- the Murdochs -- too much control over media in Britain. Rupert Murdoch and one of his sons, Lachlan Murdoch, are Fox's two co-chairmen. The other son, James Murdoch, is CEO. The family also controls News Corp., which owns three of Britain's biggest newspapers: The Sun, The Times and The Sunday Times.